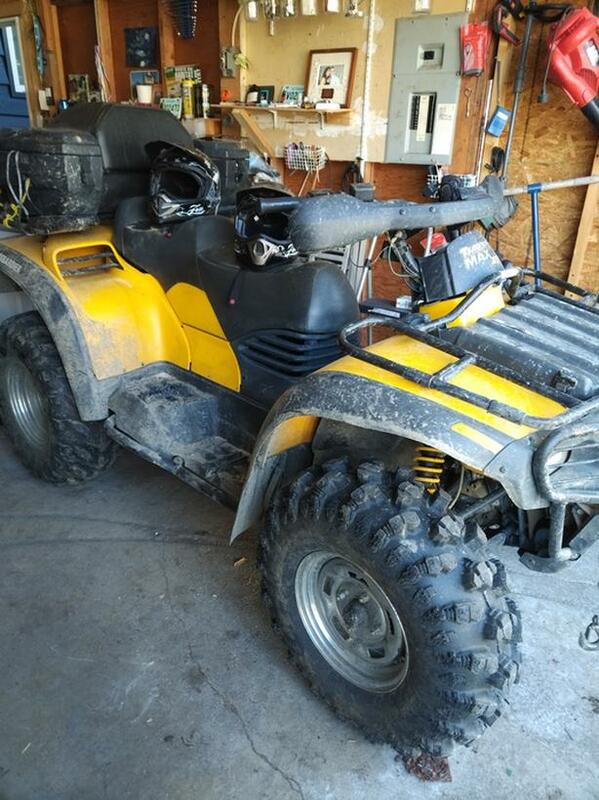 i have a 2004 quad for sale 5000km s runs well new front tires, new batery last, heated grips, comes with two helmets seen in pic ready to go. selling as i had my knee replaced and getting the other done so will sit for two year. will consider trade for tent trailer.